The second class on Saturday was F2. This is a class for F1 cars with Falcon or Hawk 7 motors. 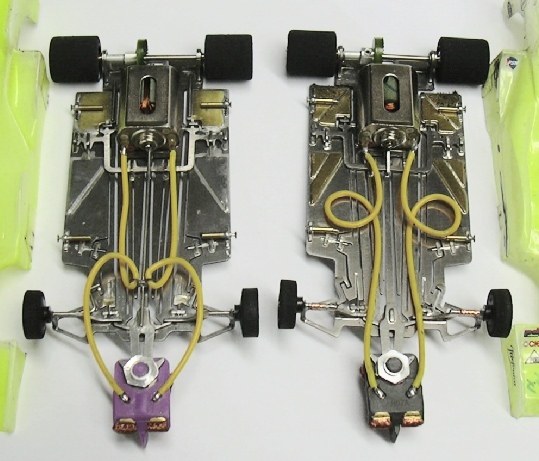 The chassis are of free choice some are quite similar to the F1 class, however the lower powered and heavier motors make F2s over half a second a lap slower than F1. In qualifying we had the same top 3 as in Super Prod, this time it was James top from Gavin and Will. 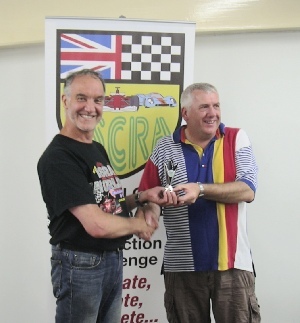 Top clubman with an impressive 10th overall was Steven Pearce. After qualifying we had a dinner break, a big thank you to Christine and all the catering team. After dinner it was back to work for Kev our dedicated race controller for the three 8x3 minute finals. Paul Harwood’s qualifying run didn’t go well, that left him in the C final which he proceeded to win a dozen laps clear of Josh Howley and Chris Frost. 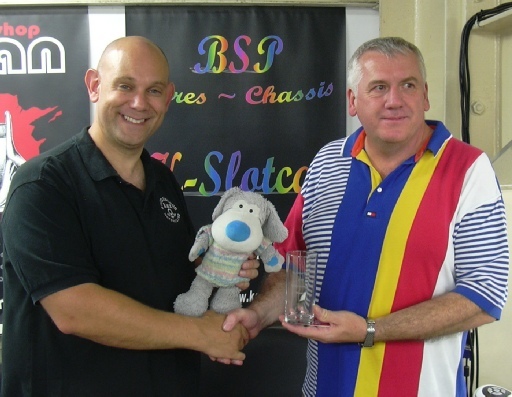 David Sargent won the B final ahead of Simon Francis and Steve Sargent. David was the only one to beat Paul’s C final score. The A final produced the second 1-2 for James and Gavin. 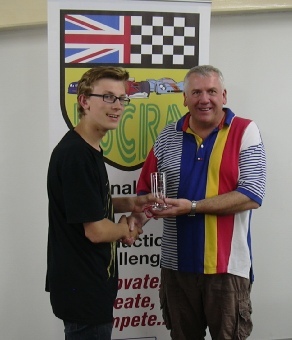 This time it was Ross Grogan who got closest to the Rockingham pair with third overall. The 222 winning total is a record for this event, also beating the winning average set in the years when it was a 8x2 min race.